Ronsite is your partner for big machine parts. Where standard repair is becoming critical, because part size or diameters are getting too big or transport is because of weight/size a economic challenge, Ronsite will be on your side to provide the right thermal spray solution. We have two options. We can rework your bearing seats in our repair shop, which can handle part weight up to 8 tons, or provide our service wherever the parts at your site. The thermal spray process exist nearly since 100 years. Since then machine parts have been repaired and technology improved significantly. Today parts are coated nearly in all industries where high performance at the surface is required. Industries like automotive, steel, hydropower, aviation and wind energy can be named. Main advantage is that the thermal spray process has very low heat impact and therefore avoid material microstructure changes, which is very important for cast iron housings. A high amount of different coating materials are approved. 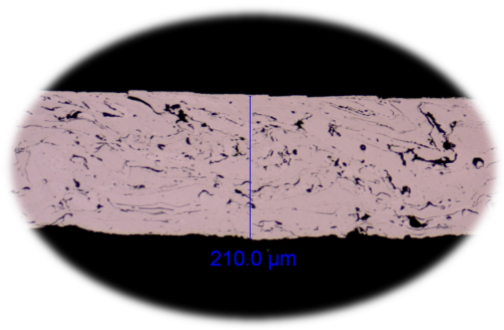 They can be selected to repair worn material, to increase the wear resistance on the surface with hard metal coatings or improve the corrosion resistance. What if size and weight has no limit? Very often machine parts weight or size exceed the standard production possibilities, or the disassembly process will cause high cost. The Ronsite RZ-Gun was designed for this and is using a standard thermal spray process. This was new designed to perform highest and repeatable quality for mobil use. Our full automatic coating unit can spray inner diameter from 150 – 2500mm. Next generation will be good for up to 8 m, to be used for monopile coating. What if the bearing seat is located eccentrically? The RZ-Gun can be adjusted in X-Y-Z direction, therefore we always can meet the bearing seat center. This allow us to perform in highest quality. 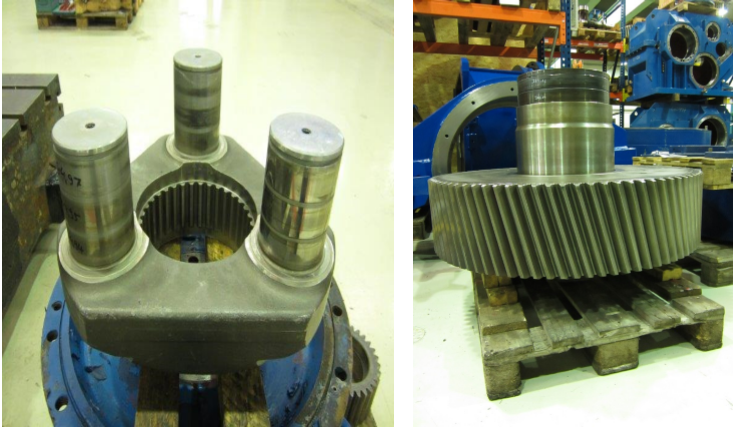 Gearbox and pump housing or planet wheel support can be named as typical applications.